Decorated on the interior with three fish circling a dolphin and outside with a man reclining having been ‘drinking like a fish’, near his house. A Chinese figure on the other side. 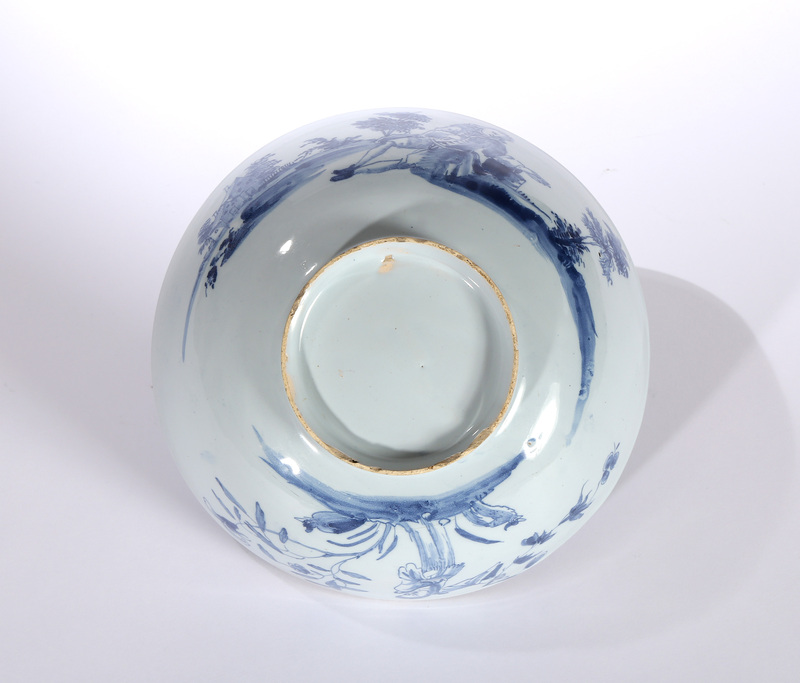 ‘The Crews bowl’ in the Ashmolean Museum (Ray, 1968 p78, pl 46, 85), is perhaps by the same hand. 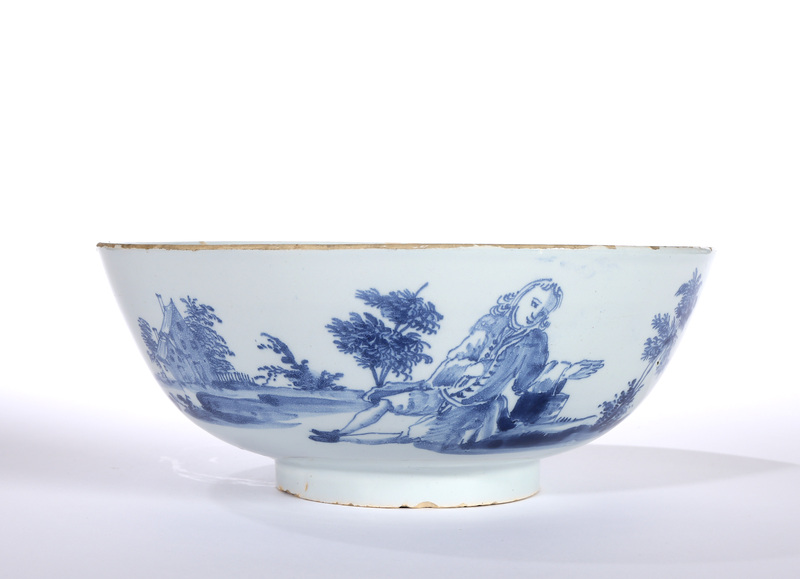 It depicts the Crews sisters, Hannah and Sarah, on the inside and is dated 1757. 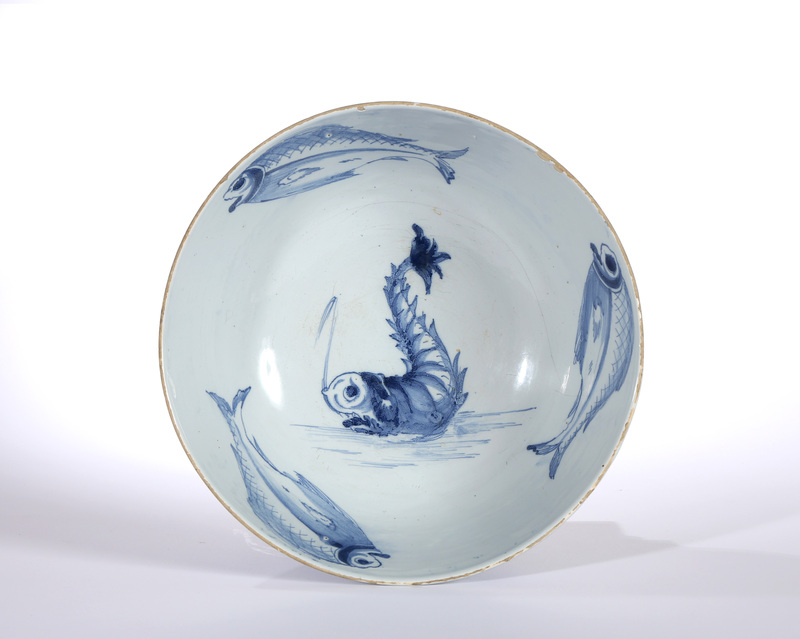 It has similarly painted fish around the inside of the bowl, and also a combination of European and chinoiserie decoration on the exterior. The soft blue and the type of Chinese figure suggest a Liverpool origin, as comparable tiles are found there. 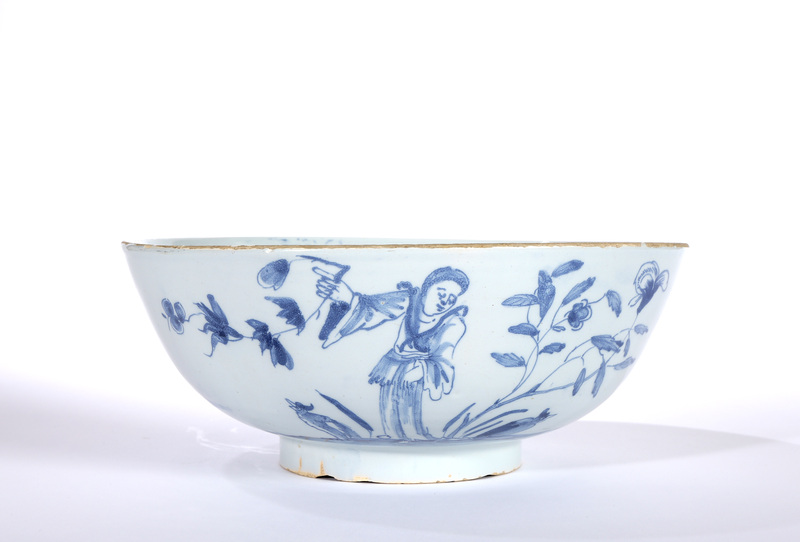 For the ‘Crews’ bowl see: Anthony Ray, English Delftware Pottery in the Robert Hall Warren Collection, Ashmolean Museum Oxford, The University of Oxford (1968), pl. 46.